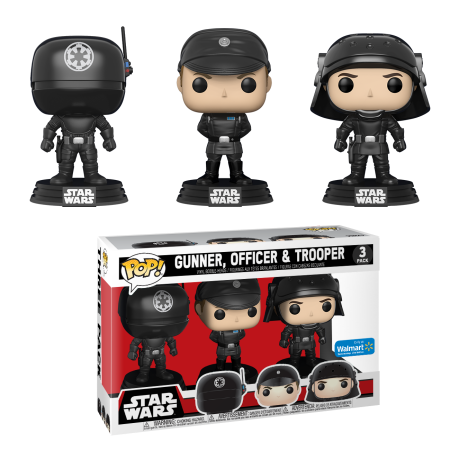 Funko told us that the Walmart Death Star 3-Pack was going to go live some time in February, and it seems that they’ve delivered. First spotted in retail stores throughout the month, the item was available for sale on February 21, 2018. For around 24.82, you can pick up one for yourself here. Personally, I think I’m going to wait a little bit before I pick up this 3-pack. People familiar with Walmart’s Funko products has seen a huge push around their initial release, only to be seen on clearance a few weeks or months after the fact. Personally, I picked up the Ewok and Bespin 3-pack from Walmart clearance for only five dollars a piece just around Black Friday. For those who have to have it now, I’d definitely scoop it up. Otherwise, waiting might be able to save you twenty bucks…plus the cost (and potential damage!) of shipping. Krasava M, thank you for this post. Its very inspiring.